Butterfly lays perfectly across your chest as if it was made personally for you! 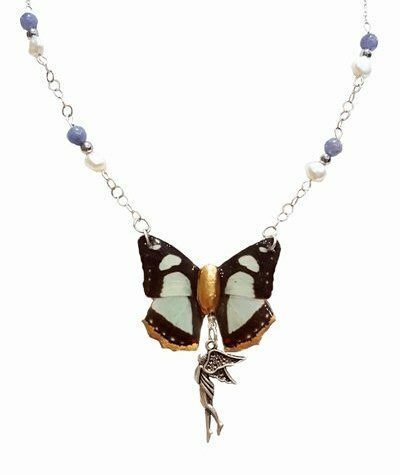 This real butterfly wing necklace is made with Pyrrhogyra otalais AKA Mint Blue butterfly. Butterfly died naturally after living its full life. Purchases help save the rain forest and butterfly populations. This is one of my favorite necklaces. It’s perfect for the fairy or angel lover. We have been preserving real butterfly wing in resin for art since 2012. 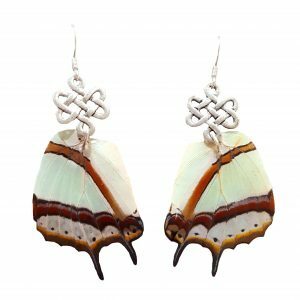 All of our real butterfly wing jewelry is handmade to perfection. Butterfly coated in resin for longevity.